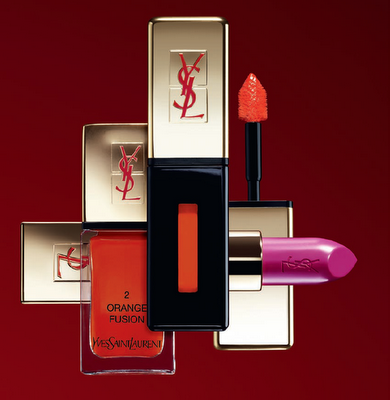 It's all about the corals, fuchsias and violets with YSL cosmetics this season. 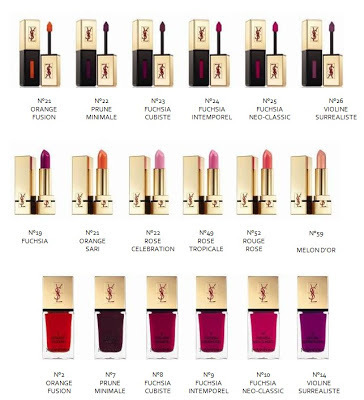 Being the NailGeek that I am, the nail polishes are undoubtedly what I'm most interested in. I've never been much of a pink girl but the No 8 Fuchsia Cubiste looks like it'll enjoy being on my nails. Check out the full swatches after the cut. 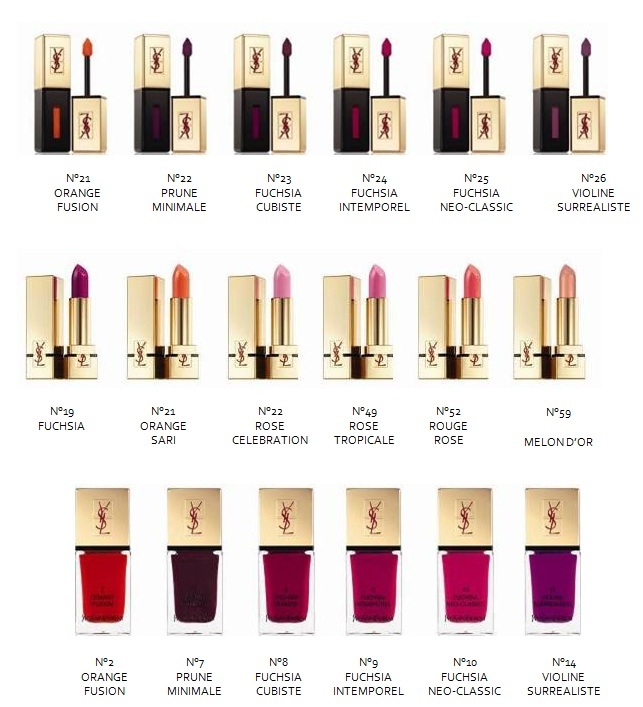 Yves Saint Laurent Beauty Boutique Shop 156, The Beauty Gallery, Pacific Place, Admiralty Prices range from HK$240 for the lip stain and lipstick to HK$190 for the nail polish.